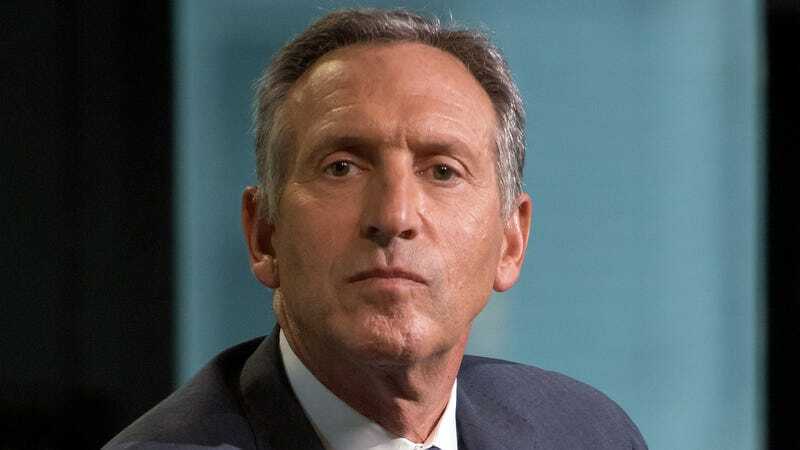 SEATTLE—Expressing concerns that Democratic and Republican parties no longer represented people like him, former Starbucks CEO Howard Schultz revealed Monday that he was considering an independent presidential run after finding no initial support among any American voter groups. “The complete lack of support for my candidacy among narrow interest groups like liberals, conservatives, and moderates tells me that America is hungry for an independent voice,” said Schultz, after preliminary polling found little to no support for his presidential bid among Democrats, African-Americans, evangelicals, working-class whites, suburbanites, Republicans, millennials, Hispanics, men, or women. “Our political system has been overrun by people with opinions and ideas. This country should not be beholden to someone who constantly fights for American values. Our nation clearly wants an independent voice who does not speak for any of them. I know that I can win by rising above partisan squabbles by bringing together a large coalition of nobody whatsoever.” At press time, the announcement that Schultz was considering a presidential bid had received a highly positive reaction from Howard Schultz.